General public classes in Stoke Bishop, Westbury-on-Trym, Long Ashton; and Winford. Half-day (3-hour) workshops to deepen your practice; next session – June 15, Saturday, 2pm to 5pm. Yoga helps us remove what we do not need in our lives, whether it is stress, strains or fatigue, however minor or major, we all want to feel healthy and happy. Yoga teaches us how to rebalance and improve our life. Yoga means union and when our life feels stretched yoga brings it back to balance. A yoga practice can be tailored to suit our needs – energetic or gentle, physical or meditational, yoga is the solution. 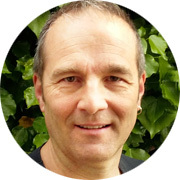 Gary has been practising yoga and Buddhist meditation since 1995, and teaching in Bristol since 2003 – he spent seven years studying in India and other parts of the world, before completing his teacher-training course in 2002. His teaching style is based on Patanjali’s Yoga Sutras, and his experience which includes Iyengar’s attention to detail and Ashtanga’s flowing style, Buddhist mindfulness and traditional pranayamas (yogic breathing). He offers traditional yoga in a modern world. General public classes, staff classes at work – in Bristol and North Somerset. Beginners and experienced all welcome. Gary brings yoga into the workplace for employees and bosses; lunch and after-work classes; ideal for reducing stress at work & improving staff well-being. Want yoga at your work? Classes just for you: too busy to get to classes, recovering from illness or injury, or want personal attention? Private lessons will solve this. Gary drives to your home/workplace with mats and equipment. Gary’s 3-hour sessions offer an opportunity to deepen your yoga practice. Boost your weekly practice or are you too busy in the week? Come to a workshop.